You don’t have to fly to a far-off location to enjoy an all-inclusive beach vacation. 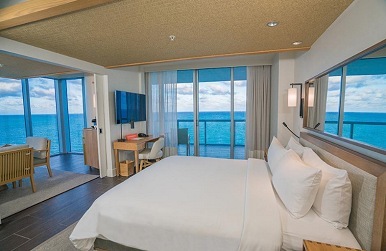 Miami’s Eden Roc has everything you need for a serious sojourn at the beach. Overlooking world-renowned Miami Beach, Florida on prestigious Millionaire’s Row, Eden Roc Miami Beach embraces its role as a timeless resort treasure, flawlessly blending iconic style, modern architecture and contemporary glamour. 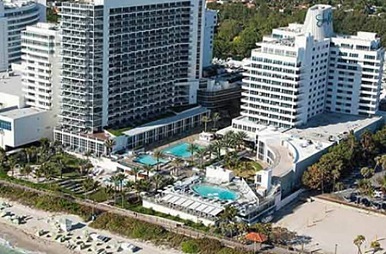 Located minutes away from South Beach and Miami International Airport and famous for being host to Hollywood greats, like Elizabeth Taylor, Humphrey Bogart and Madonna since 1956, Eden Roc Miami Beach continues to enchant guests and celebrities alike. Enjoy breathtaking views of Miami Beach from the comfort of spacious guest rooms, hotel suites, oasis pools and private rooftop cabanas. Complimentary Wi-Fi, luxurious amenities and 24-hour room service provide a pampering experience. Bask in the sun at one of the three distinctive pools or claim a chaise lounge on the beach to watch the waves roll by. Relax and rejuvenate at Spa Eden Roc. The hydrotherapy circuit has whirlpools, plunge pools, saunas and hydro-experience showers. Overlooking the water, the sprawling fitness center at Eden Roc is open 24-hours a day, seven days a week. Inside, guests will find a wide variety of Artis Line TechnoGym equipment plus a studio for group and private classes. Discover culinary excellence at Eden Roc. Indulge in farm-to-table freshness from the menu of Chef Helene Henderson’s Californian restaurant, Malibu Farm. 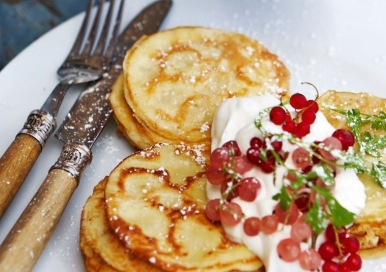 Try the Swedish Mini Pancakes or the Chicken Broccoli Quesadilla, for farm-to-table dining that is fresh, organic and locally sourced. 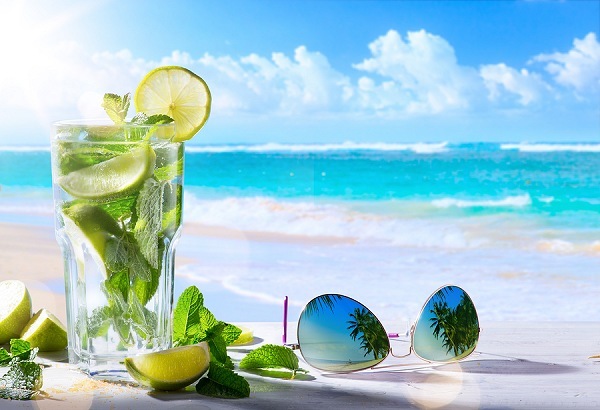 Or take in the ocean air as you enjoy hand-crafted seasonal cocktails, juices and local dishes at the Aquatica Bar. Or have a private dinner in your room with breathtaking ocean views. Book by April 30, 2018 and get a discounted rate starting at $835 per person! Price is land-only and based on double occupancy in a standard room. Upgrades, spa treatments, valet parking and cabana rentals are extra. Valid for reservations May 1 – Sept. 30, 2018.